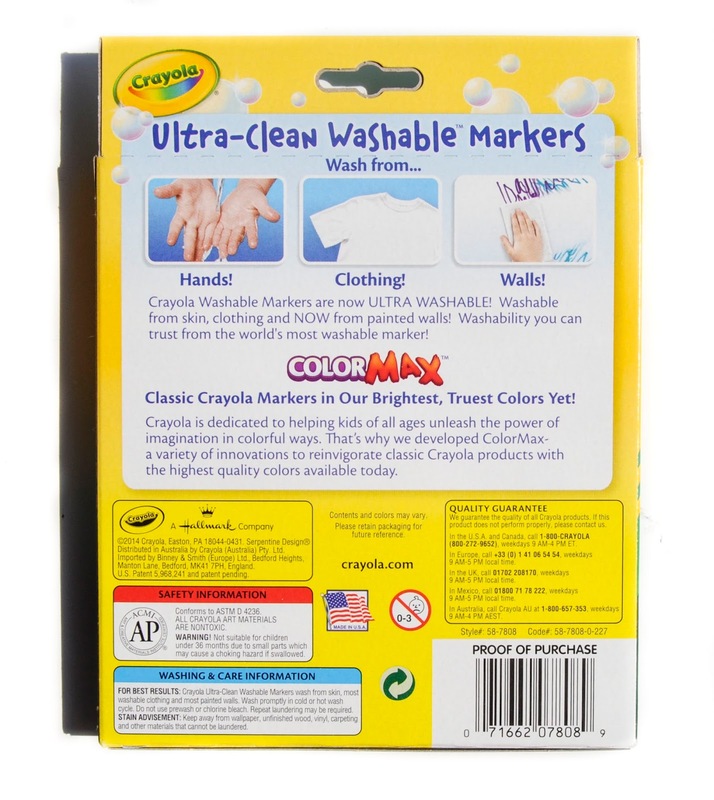 In 2014 Crayola came out with the Ultra-Clean Washable Markers ColorMAX. I love washable markers and would recommend them all day. My son usually colors with them and when he is done I grab a wet paper towel and wipe it up. That easy. I like all the different assortments of colors in the Bold, Bright, Classic and Tropical colors. The best time of year to get these is during the Back to School sales. They are so much cheaper. 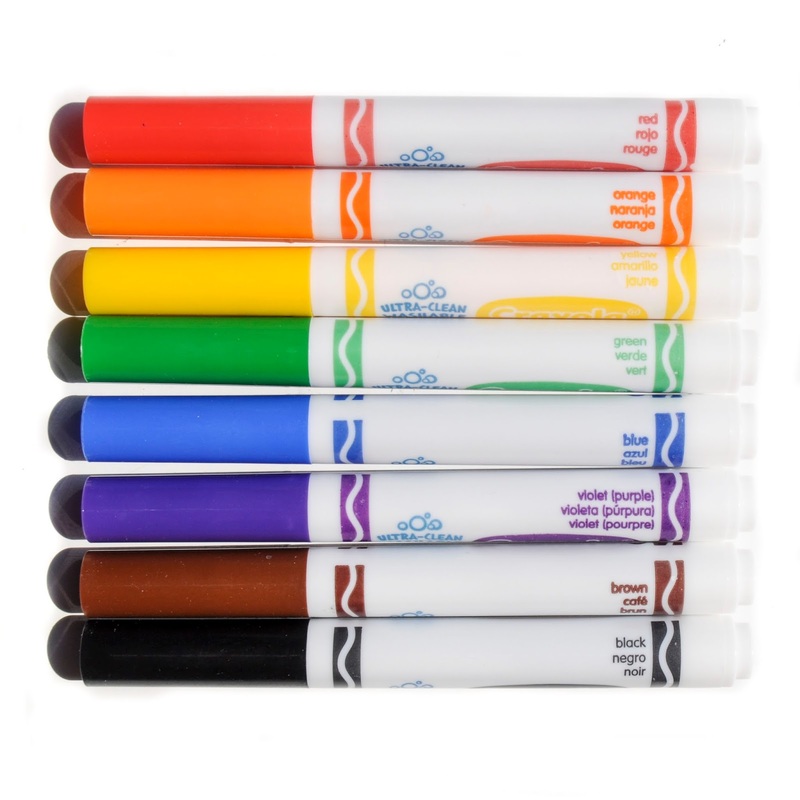 The only thing I would change with these markers is if the markers that are very light had easier to read labels. Sometimes they are so hard to read, especially yellows and tropical colors. There is also a box of 12 markers in this post. 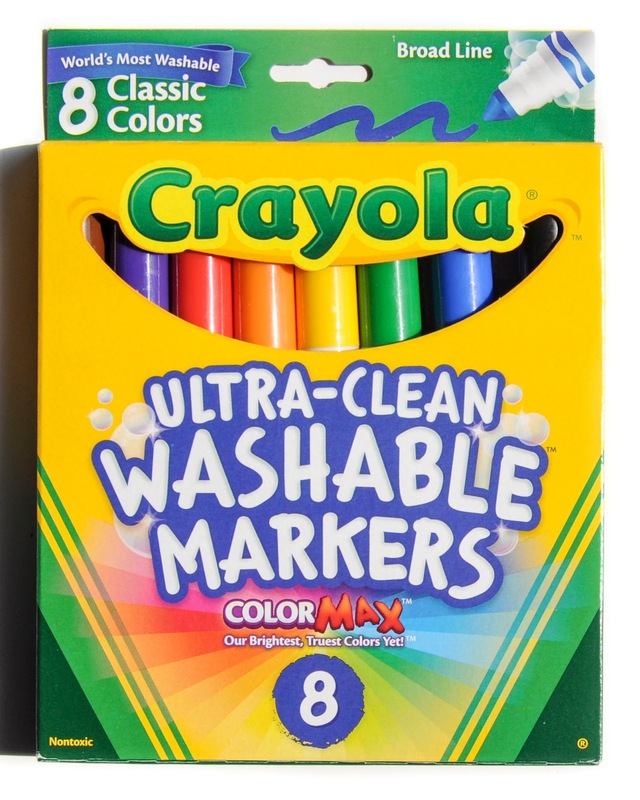 It is really called Classic Colors plus 2 probably because the two included are not classic colors and Crayola wanted to make sure people knew it was a classic box and not an assorted box of which they have named boxes before. Do you know which colors are in the broad line multi-cultural boxes (8&10 ct)? Thx!